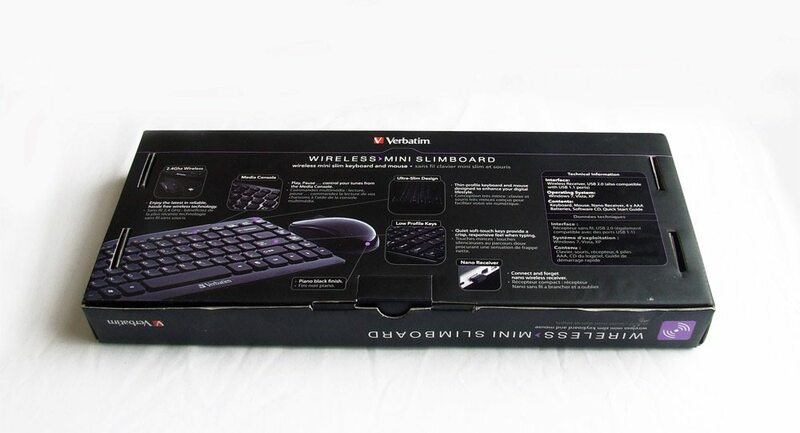 Verbatim are a company well known for their optical media but they also make a range of other PC related goodies, from hard drives and speakers to computer mice and even printer toner and in this case the rather nice looking keyboard and mouse combo we’ll be looking at today. 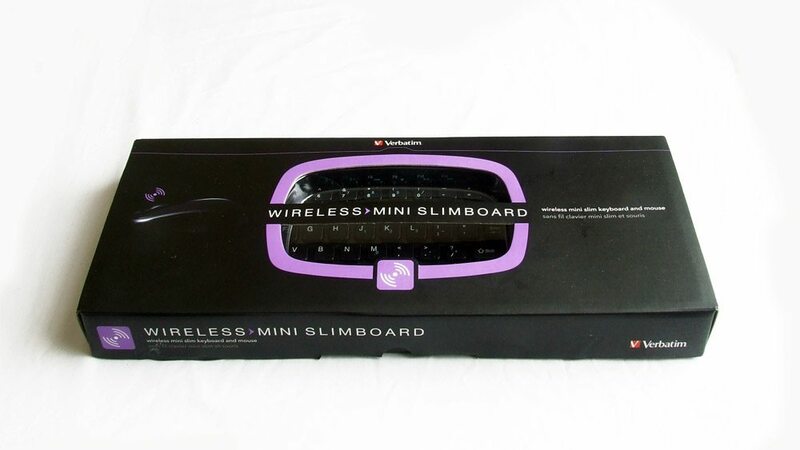 It’s called the Wireless Mini Slimboard and its compact sizing and lightweight design aim to free you of your computer desk and provide a way for you to interact with your machine from wherever you choose without having to lug around a full-sized and heavier keyboard and mouse. So how does it get on? Let’s find out. Ultra-Narrow Design – Built with a laptop-style keyboard configuration to allow for maximum desktop space-saving. Through the top of the box you get a glimpse of the keyboard within, there’s also a picture of the mouse which is hiding in there somewhere. The bottom illustrates some of the features of the keyboard and mouse such as media controls and low profile keys, the shiny piano black finish of the mouse etc. as well as some technical information. Around the sides of the box is just the product name and a Windows compatibility logo. And here’s the contents: keyboard, mouse, batteries, software and a quick start guide should you need it.